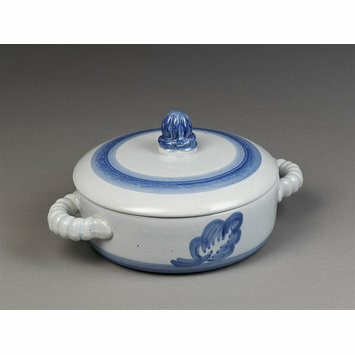 Earthenware tureen and cover with painted decoration of bands and leaves in underglaze blue on a blue ground. 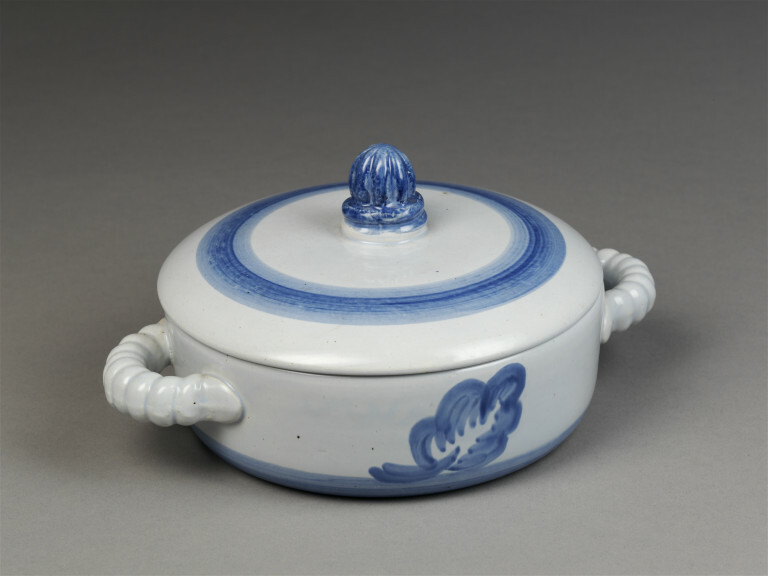 Tureen and cover, earthenware with painted decoration in underglaze blue, designed by Edgar Böckman, manufactured by Höganås, Sweden, ca. 1916. Opie, Jennifer Hawkins. Scandinavia: ceramics & glass in the twentieth century. London: V&A Publications, 1989. 106 p. ill. ISBN 1851770712.